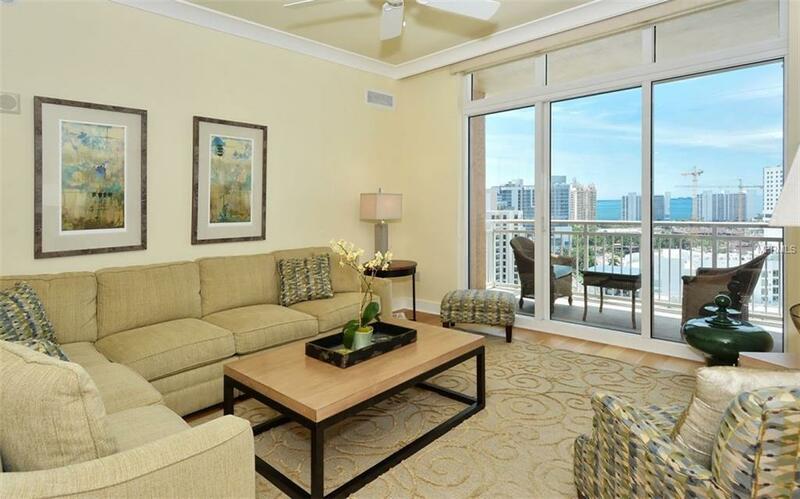 Fabulous 15th floor end unit with bay views featuring 10 ceilings and several upgrades wood floors, custom lighting and closet built-ins. Building amenities include the heated resort style pool and spa, recreation deck with gas grill, herb garden, fitness center, steam rooms, guest suite, secured garage, climate controlled extra storage, 24-hour concierge service plus social, media and conference/business rooms and water softener and filtration in the entire building. The maintenance fee covers internet access and basic cable. A secure parking space is included, and additional spaces are available in the building for monthly rental. 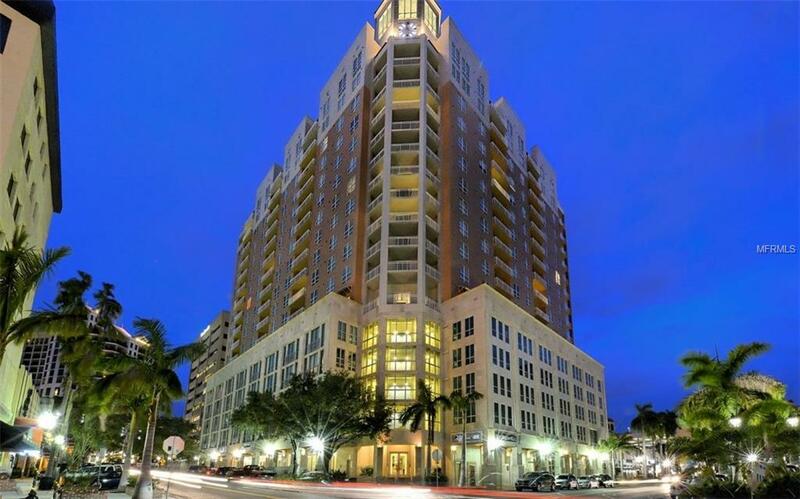 1350 Main is a pet friendly building allowing up to 2 pets of any size. Celebrate life and enjoy all that is offered in this beautiful city! 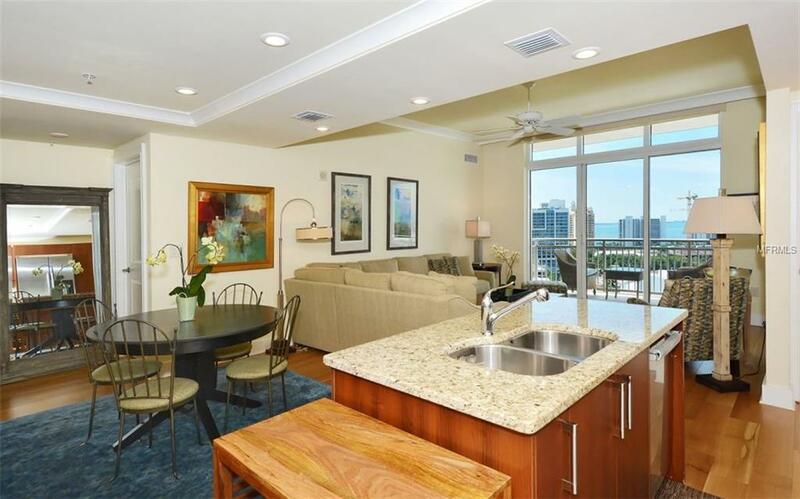 You will be a short stroll away from restaurants, shops and the great arts and culture scene that Sarasota offers while still being just a short drive across the bridge to St. Armand's Circle, Lido beach and Longboat Key. Additional Lease Restrictions Tenants May Have Pets But Only 1 Of Which Can Be A Dog. Pet Restrictions Owners May Not Maintain More Than 2 Pets Consisting Of Dogs And Cats. Owners May Maintain Caged Birds And Fish. No Pit Bulls Or Other Breed Considered To Be Dangerous By The Board Of Directors.